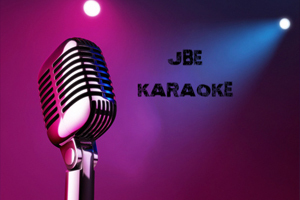 JBE Karaoke is a professional service, provided by & run by musicians. 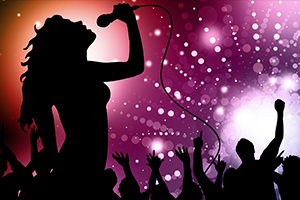 This means your Karaoke night, event or themed party will be run by professional entertainers. 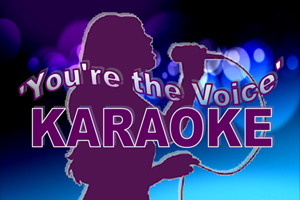 'You're The Voice' Karaoke is a very popular interactive entertainment option which has up to 17000 songs to choose from. It is operated by musicians Stu and Wendy Kent, Wendy's great vocals along with her friendly personality will encourage anyone to have a go. Their professional sound and lighting will have any singer sound and look like a Star, a fun entertainment option for any function. Within Dunedin, Gibby's Laser Karaoke would have the largest variety of songs to choose from and they have been popular from student functions through to 70th Birthdays! Also, they have found weddings to be a huge success because of the ambience they create for the mood required.